As soon as the Supreme Court of Mexico has Approved Same-Gender Marriages, the Mexicans are signing a petition for a new flag to represent their country. The rainbow flag is commonly the gay pride flag and LGBT pride flag. The flag is used worldwide. People who are in favour of Same-gender marriages are extremely happy with the court’s decision. According to a Mexico’s Local media report, there are almost 90 to 120 couples getting married per day since the legalisation. These couples include many High Profile people as well as governmental officers. New Mexican Flag has been purposed to the government so that it represents freedom of living and equal rights to everyone. The Flag is designed by a very famous graphic designer of mexico named Luis. Luis has done mostly of his work in the development of the country. 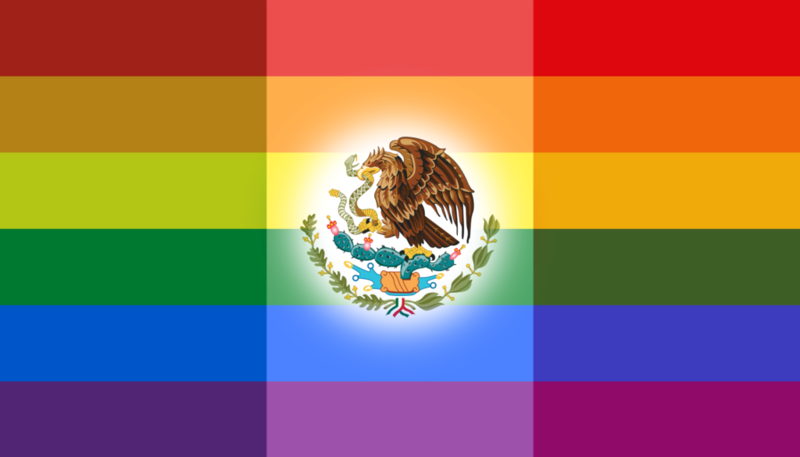 According to recent reports more than 6,500 people have signed a petition to change Mexican flag to rainbow flag. Several reporters have asked questions to the people signing the petition. Specially that why they’re signing this?. On all such question, people replied very positively in support for Equal rights for all. A Local named Marco Antonio Muel says “A lot of people are offended by the Mexican Flag, I’ll sign this because i want to bring change in this country. I support the new Mexican flag and that is why i am signing this petition. There is a huge amount of increase in the Gay communities of Mexico. People who lived their lives as single are now opening up and confronting that their partners are of same gender. I’ve lived my whole life with my best friend Alfonso. I’m 52 and we met when we were under 25. Since then i waited for this day so that i can marry him. Says Jose Ruben, a trucker from Ecatepec.